NS debate Part 1: A different defence model? In the recent online debate on NS, three areas of concern emerged: conscription, the two-year period of NS and the NSmen experience. In Part One of a three-part series, we look at conscription, especially in relation to the SAF. The issue of NS is not only a question of defence per se. We should be careful not to conflate the issues of defence with conscription. The former is an unquestioned and widely-accepted principle; the latter is a military model. Is it time to consider a different defence model? When the Singapore military was first started, the Israeli advisors recommended a professional force as sufficient to defend the country. It was decided that Singapore should have conscription instead. There were two reasons for this: first, it was believed that Singapore was too small to support a professional armed force. Second, the belief that National Service would support and promote racial harmony. According to a 2010 International Institute of Strategic Studies report, the total force size of the Singapore Armed Forces (including active, reserve and paramilitary) was larger than those of Japan, the United Kingdom, France, Italy, Malaysia, Myanmar and the Philippines. Much of this size has to do with conscription. Singapore has some 450 aircraft, including 150 fighter jets, the Malaysian armed forces has around 260 in total. At last count, Singapore has six submarines; our neighbour to the north has two. This does not mean we should take our present size and strength for granted. Indeed the defence strategy of Singapore requires her to constantly be at the forefront of military technology, innovation and capability. To face the realities today and the challenges of tomorrow, Singapore needs to consider if the current conscription system is in her long-term interest. First, size is not the key determining factor in a war; quality and motivation are more important. And in this respect, a professional force is better trained than a conscript force. During the Falklands War, the smaller professional British force overran the larger conscript Argentinian force. In World War Two, Singapore was overrun by a much smaller Japanese force against an Allied force three times the size. Many Singaporeans have started to gripe about how they do not know what they are defending anymore. Even if our conscripts are well trained, if they do not have the conviction to fight, they would not be able to win in a confrontation. Second, a declining birth rate means that in the long run, the number of eligible conscripts will fall with every succeeding batch. Our current paradigm will mean that our divisions could be understaffed and would require reorganisation. The SAF has tried to introduce technology to do the work of many men; yet the crunch is being felt. Already, the age for reserve army call-up has been increased from 33 to 40 (55 for commissioned officers); more and more soldiers are enlisting to the army with medical injuries or conditions (a result of greater school involvement) and there has been talk about adding women to the volunteer force. Any politician would agree that mandating conscription to females is controversial. Neither is conscripting PRs or first generation citizens realistically tenable. Third, on the issue of fostering racial harmony and national identity, the presence of discrimination against certain races has served to harm rather than build a common national identity. Fourth, the full effects of National Service have also been shown to hurt the economic competitiveness of our males: 46 per cent of respondents in an IPS survey mentioned that employers tend to favour men without NS liabilities. With tightening rules on manpower, this hurts the overall economic competitiveness of the Singaporean economy. Fifth, National Servicemen serve in more than just the SAF, but also in the civil defence (SCDF) and the police. The bulk of soldiers are conscripted in the Army, but NS includes servicemen from many more units and service branches. We have a shrinking conscript pool but a greater demand for manpower to deal with greater challenges of policing and maintaining peacetime security in a larger city. It comes down to realising that NS is not merely the SAF. The question we must ask is this: is relying on conscripts the right idea for today? We cannot abolish the system overnight; it is too entrenched as a key factor in Singapore’s forward-defence military doctrine. What will be required is a progressive switch to deal with the reality of today and the unpredictability of tomorrow. We may not be able to have a fully professional force, especially if we want to maintain the almost 400,000 total fighting strength in the country. But a proposal that examines a modified version of National Service, with shortened service lengths and a larger number of professionals (the allowance saved can be used to increase the salary of regular soldiers or more military experts) has to be put on the table as a serious proposition. The initial argument that there might not be enough soldiers could be reexamined. Part of the reason was that many Chinese then viewed armed forces as a bad job. This view no longer holds. Also, if the increase in regular soldiers is accompanied by an increase in salary, then the positive push to a military career could be tenable. We might also have to consider how the manpower crunch can be redeployed to the SPF/SCDF – via cross service training. We are currently in a strong position to think about this issue. The recently concluded National Conversation did not seem to put this issue on the table. Wiping this proposal off the table will simply be kicking the can down the road for the next generation to grapple with. 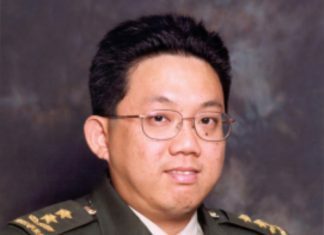 For Singapore’s long term defence, we need to seriously consider if a professional military force would be better for Singapore.